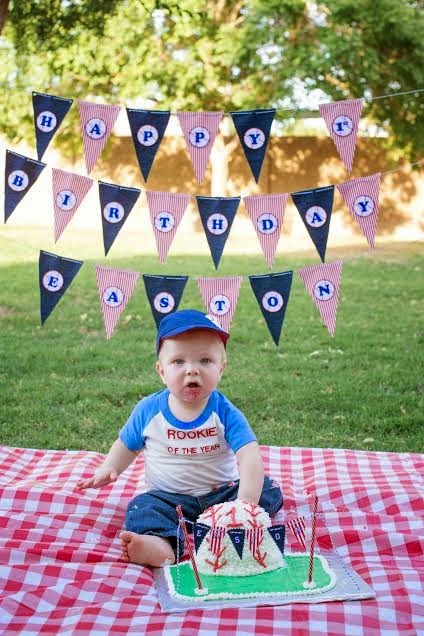 My cousin recently threw a baseball birthday party for her little boy's 1st birthday. She went all out! 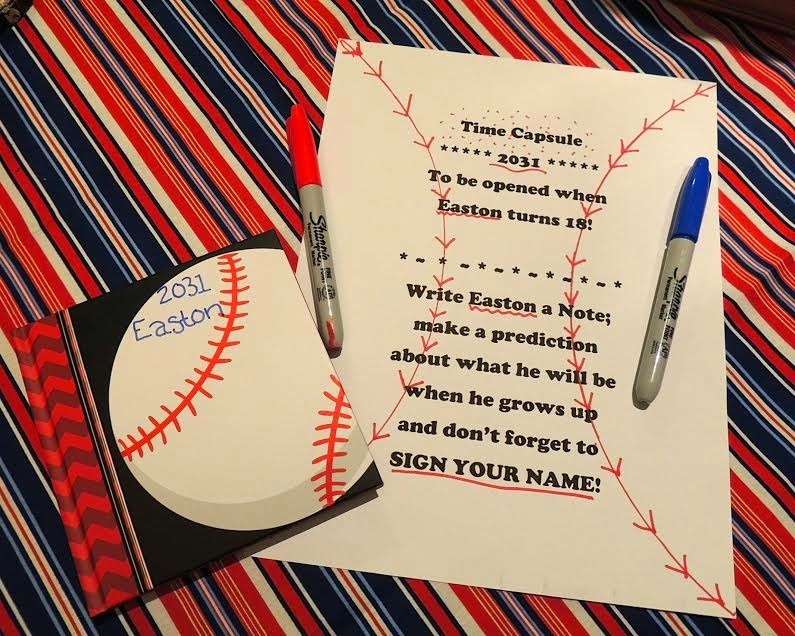 There were a lot of cute ideas she found and adapted, here's some pictures of the party: For the invite (pictured above) she found some examples online and her husband was able to adapt them to work for their party. She made some cute banners that were placed around the house and outside and really added a lot to the decorations. This was the birthday cake- I love the mini banner! Cupcakes for the party guests. 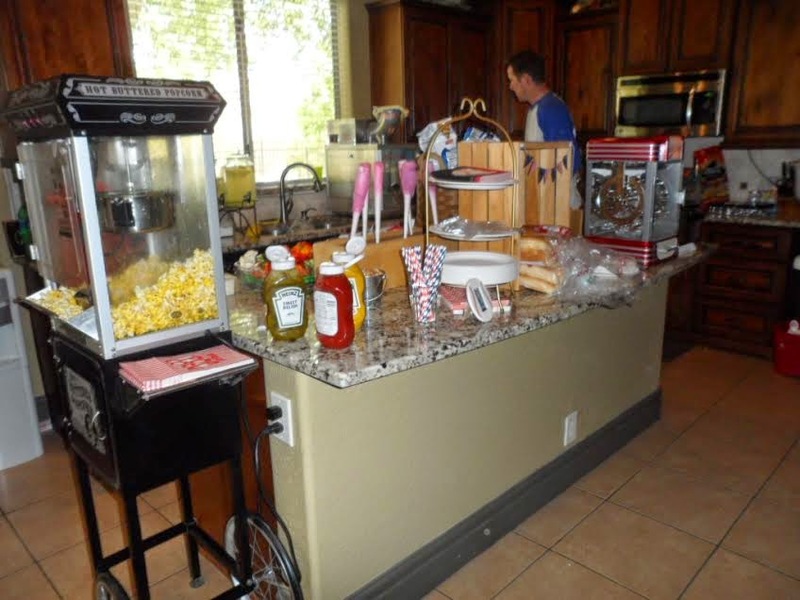 For food at the party they had concession type of foods: hot dogs, popcorn, cotton candy, snow cones. They had a time capsule for people to write notes for. 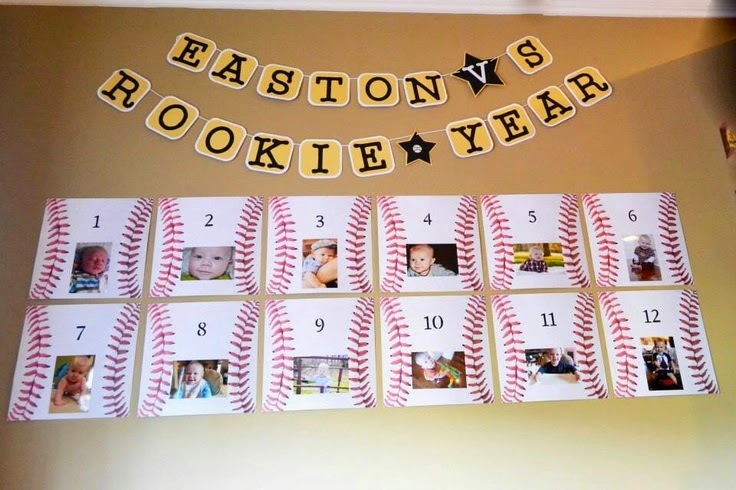 This is a super cute idea- pictures of him each month of his first year. 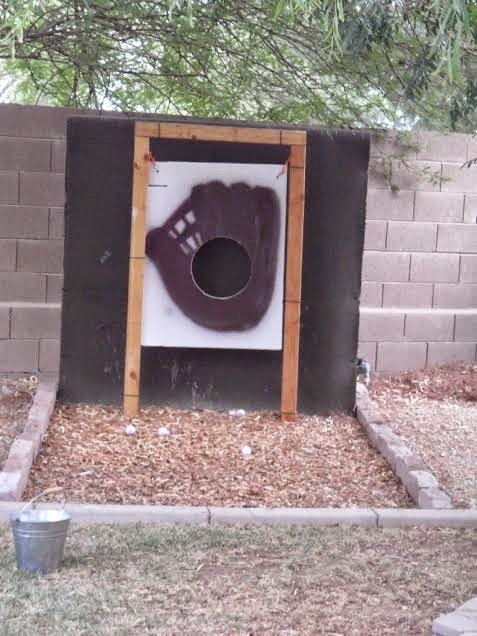 They had this as a throwing game for kids to play, of course a baseball game, along with swimming in their pool and baseball shaped pinata. I almost forgot about the shirts!! 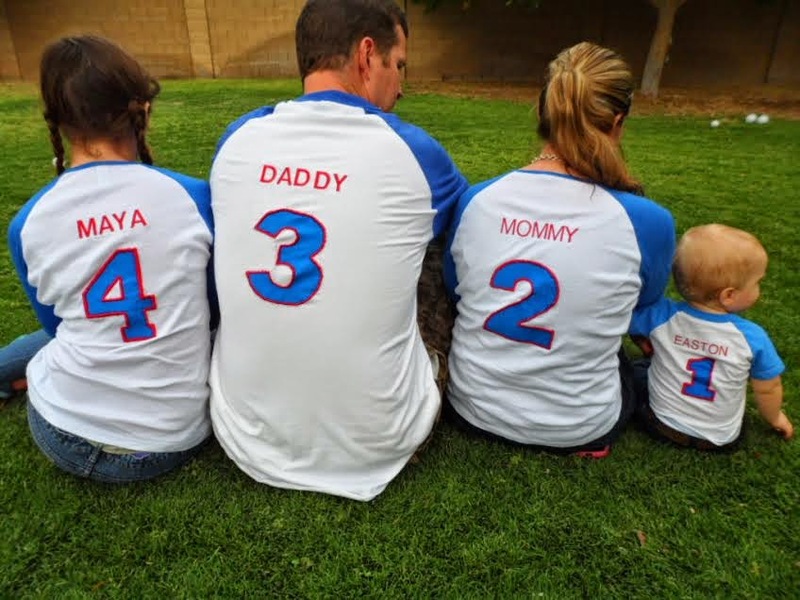 She made some custom shirts for the party as well. She even made cute little thank you cards for everyone that came! When all was said and done she spent about $400 on the party. Maybe a bit extreme, but it's her first baby- we've all been there! Plus as an over-achiever type of personality myself I'm not one to talk haha. I still remember doing my oldest's 2 year old party a "Dora the explorer" party and making EVERYTHING custom labeled from candy bars to bubbles! So cute! Easton is looking so amazing in his birthday. 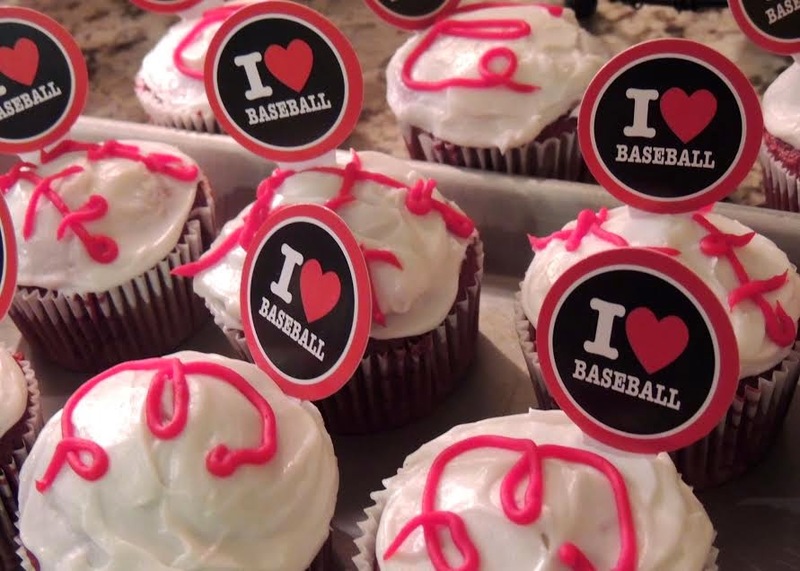 I really like the idea of baseball theme birthday party for kids. Thanks for sharing this beautiful memory with us. Beautiful! 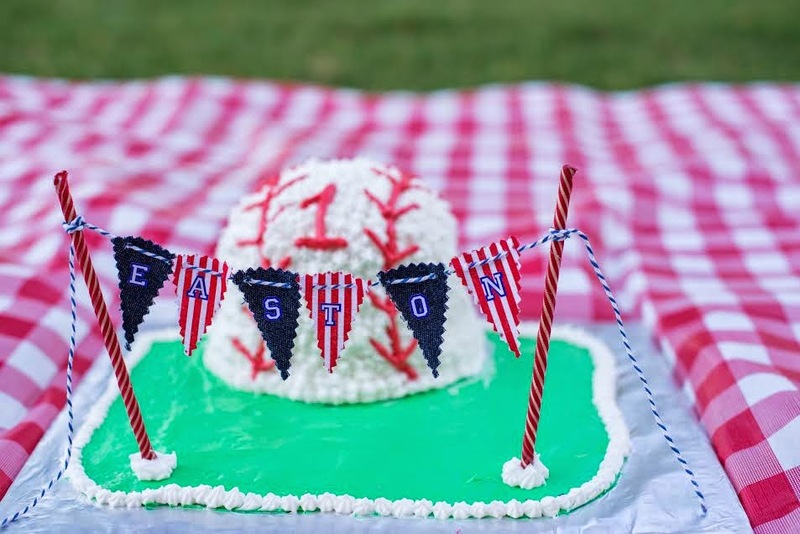 Thanks for sharing this amazing post, which shares the memory of Easton's first birthday. All the pictures are beautiful. Keep sharing post like this.